Woollam Constructions director George Bogiatzis worked as a tendering cadet during the original construction of the Australia Stockman’s Hall of Fame and attended the official opening in 1988 alongside Her Majesty Queen Elizabeth II. 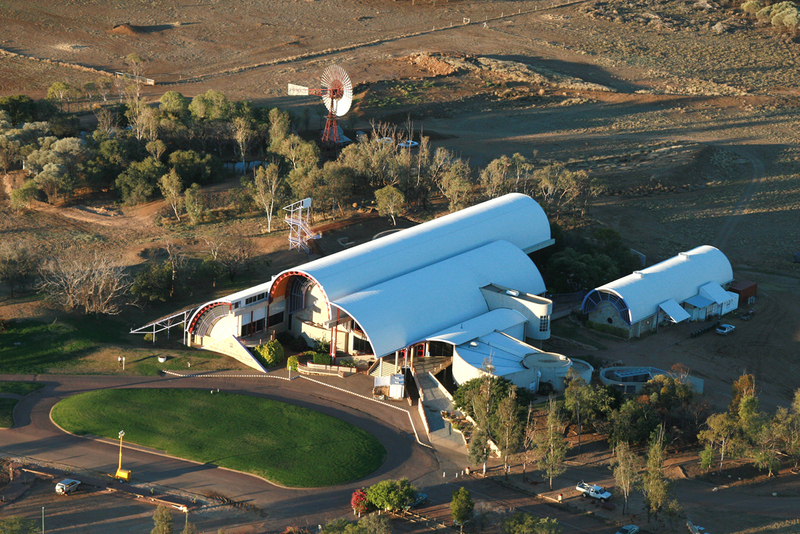 The anniversary celebration for the facility – often referred to as the ‘Opera House of the Outback’ – provided an opportunity for Bogiatzis to reflect on the project and the opening event. “Flying outback in a cosy six-seater plane to watch Her Majesty arrive in a jumbo jet for the big event was something I will always remember,” Bogiatzis says. “The attendance of up to 10,000 people – almost twice the population of Longreach – was remarkable, with hundreds of planes filling up Longreach Airport. Working in very remote Queensland conditions while implementing unique design, technical skills and materials made this such a memorable experience for Bogiatzis. “The structure has stood the test of time both design and construction-wise, featuring castellated beams, corrugated iron, a curved roof as well as sandstone and tiles from Toowoomba,” he says. Woollam Constructions furthered its connection with the Hall of Fame in 2008 with the completion of a food and beverage facility upgrade (Cattleman’s Bar and Grill), which earned a Queensland Master Builders Award for the Central Queensland Region, Commercial Buildings category. The site of the Bar and Grill required Woollam’s team to mindfully preserve the surrounding trees that had been planted by members of the Hall of Fame at its inception in 1988. Metal deck roofing and a suspended gutter system were incorporated into the design to ensure that noise caused by rain is heard by patrons and water is seen as it is collected from the building. Many famous Australians were involved in establishing the Australian Stockman’s Hall of Fame including artist Hugh Sawrey and entrepreneur R.M. Williams and it pays tribute to Indigenous Australians, stock workers, pastoralists and explorers. 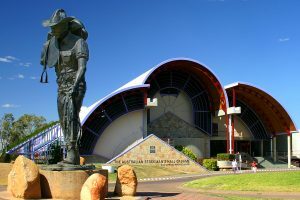 Stockman’s Hall features a museum, gallery, entertainment facility, theatre and historical library and was formed after a need to capture and record the fast disappearing culture and unique history of Australia’s outback and major industries like grazing, agriculture, forestry and mining. Woollam Constructions is a 135-year-old Australian leader in commercial design and construction with facilities throughout Queensland, New South Wales and Western Australia.